The Brics Summit this weekend in Goa comes at a time when India-Pakistan relationship has hit a new low. 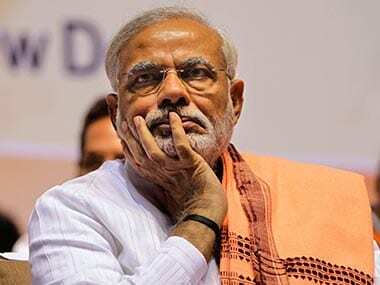 Between Pakistan's renewed intransigence in leveraging anti-India proxies to prosecute its Kashmir agenda, and India's signal that will meet the same using limited military options, the discussions in Goa will invariably be coloured by the recent events in South Asia. 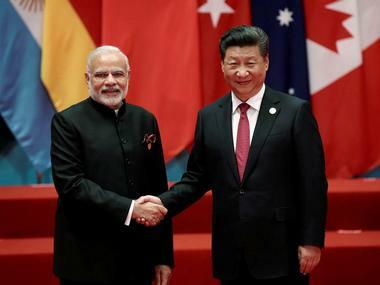 Of special interest would be the stance China takes on terrorism during the Summit and whether it will look beyond its all-weather friendship with Pakistan to accommodate India's concerns when it comes to cross-border – and increasingly Islamist – terrorism. China's calculations will be driven by the relative weights its puts on its geopolitical imperatives behind supporting Pakistan, its professed desire to upgrade its relationship with an increasingly assertive India, and its own vulnerabilities when it comes to Islamist terrorism in the restive region of Xinjiang. At the face of it, China and Pakistan make for a strange couple – an avowedly secular one-party government on a relentless march towards domestic prosperity and international influence, and a revanchist power driven by the mosque and the military and in the news almost always for the wrong reasons. But there is a certain logic to this marriage of convenience between China and Pakistan. That China sees Pakistan as a geopolitical instrument to balance India's nearly-hegemonic presence in South Asia is obvious. China sees no reason why it can't also be an ersatz South Asian power by cultivating a client in the region. It also sees Pakistan as a key link to the Islamic world – especially at a time when it expands its footprint to the west of Asia. Finally, it views the proposed port of Gwadar in Balochistan as a key to mitigating its Malacca dilemma. That Pakistan can also emerge as a convenient location to dump its industrial surpluses and as low-cost labour base (especially as China moves towards higher-end manufacturing and the services sector to drive its economy going forward) no doubt adds to the attractiveness of Rawalpindi in the eyes of Beijing. Pakistan's incentives in cultivating China are all too clear. The United States seems to have lost interest in Pakistan and is no longer willing to enable Rawalpindi's geostrategic rent-seeking behaviour. China, on the other hand, continues to have good reasons to humour Pakistan with cash, armaments and, most crucially, its clout as a (permanent) member of the UN security council. 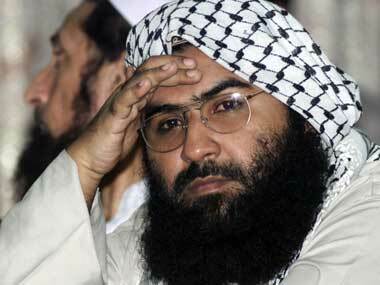 It is this last point that has emerged as a major point of contention in the India-China relationship: China continues to support a 'technical hold' that prevents Jaish-e-Mohammad (JeM) chief Masood Azhar from being declared a global terrorist by the United Nations. It is established at this point that it was the JeM that staged the Pathankot attack in January and more than likely that it was behind the attack on the military facility in Uri last month. Terrorism analysts have long viewed Azhar and the JeM as being actively supported by the Pakistani Inter-Services Intelligence. Therefore China's hold on the UN ban on Azhar is almost certainly at the behest of Rawalpindi. The real question, however, is this: given that all other members of the UNSC P5 support such a ban – and given the extremely low appetite western powers have for the shenanigans of Islamist terrorists right now – how long can China keep up its current stance? 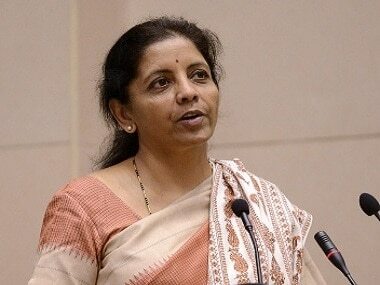 Much will depend on how the India-China relationship shapes up in the upcoming months. At this point, India has lot more 'asks' from China than it 'gives': India simultaneously wants China to support its bid for membership in the Nuclear Suppliers Group, to address its concerns with the China-Pakistan Economic Corridor (CPEC -- which passes through Pakistan-Occupied Kashmir), as well as to lift the hold on the UN ban on Azhar. In return, it has little to give to China at a bilateral level beyond, perhaps, easing rules for Chinese businesses and industries to set up shop in India further. China had believed that India would continue to be neutral when it comes to its disputes in the South China Sea. India's growing partnership with Vietnam, for example, means that this will not be the case. This lopsided diplomatic balance strengthens the Chinese hand. Beijing has noted with due alarm – which was communicated through its state-sponsored scholars and analysts – Prime Minister Modi's reference to Balochistan and Gilgit-Baltistan in his Independence Day speech in August. Both areas are of crucial importance to China as it promotes its dual-use infrastructure projects through CPEC. It also views the renewed vigour in the India-United States military relationship as directed towards keeping Chinese power in the Indian Ocean region in check. It is, therefore, extremely optimistic to believe that Beijing will change its mind unilaterally anytime soon, barring perhaps a grand bargain between India and China whereby New Delhi looks the other way when it comes to CPEC-related activities, in return for Beijing removing the hold on the ban on Azhar. Securing Beijing's support could also take the form of a moonshot collaborative project between China and India – perhaps in the west or central Asia – or a manifestly accommodative posture by New Delhi when it comes to Chinese interests in Afghanistan. Of course, there are other more coercive diplomatic measures India could adopt to compel China to change its stance towards Masood Azhar – and Pakistan's use of proxies in general. Such measures could involve inviting exiled separatists from Xinjiang to India (something the government pondered, and then discarded, a couple of months ago) or by bringing into prominence the Tibetan government-in-exile. It could also, gently, signal that the Government of India's official 'one-China' policy – which recognizes Taiwan to be a part of China – is not set in stone, to be continued in perpetuity. However, such diplomatic measures are likely to be extremely escalatory in nature. At a time when New Delhi has its hands full, once again, with managing Pakistan, it may well realize that now might not be the best time to take on Chinese obstructionism directly, but instead, bide for more time.